← What You Are Saying About Collins! 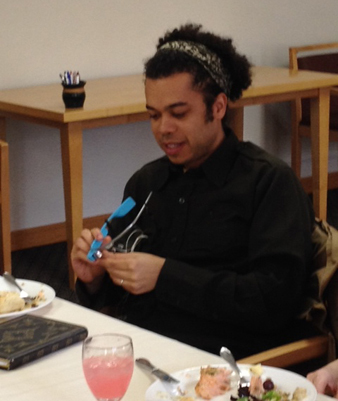 Recently at Puget Sound, we had the opportunity to brainstorm with social activist and library supporter, Micah White. Micah is one of the founders of Occupy Wall Street and a former editor of Adbusters. His unpublished dissertation, Post-Search: Libraries, Search Engines and the Organization of Knowledge reflects his innovative thinking and challenges us all to consider some fundamental questions about the future of libraries. Read more of the Huffington post article “Start a Protest in Your Library“, written by Jane Carlin and Barb Macke.